Bollywood actor Arjun Rampal, who will next be seen in the upcoming film Rock On 2, has showered praise on Irrfan Khan-starrer-upcoming flick Madaari. 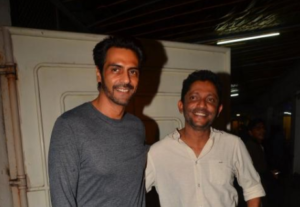 Arjun, who was recently spotted at the screening of the film in Mumbai, took to his Twitter handle to applaud the movie and said that the Nishikant Kamat’s directorial is a must watch. Madaari, which has been shot in New Delhi, Rajasthan, Dehradun, Shimla and Mumbai, also stars Jimmy Shergill. The film is scheduled for release in cinemas on 22 July. In the movie, a man (Irrfan Khan) seeks answers and accountability after losing everything in a disaster. 18 queries in 0.676 seconds.